... Runs into lease difficulty with lessor Accra, April 16, GNA - The decision by the Management of Ghana Airways not to continue with the renewal of the dry lease of its DC 10 Aircraft seems to run into problems with its lessor. The bone of contention is the day of commencement of the agreement. Management of Ghana Airways believed the lease agreement took effect from November 24, last year, when the aircraft commenced operation on its long hauls but the lessor BCI Aircraft leasing, a US based company is of the opinion that the lease came into force on November 16 last year when the agreement was signed. 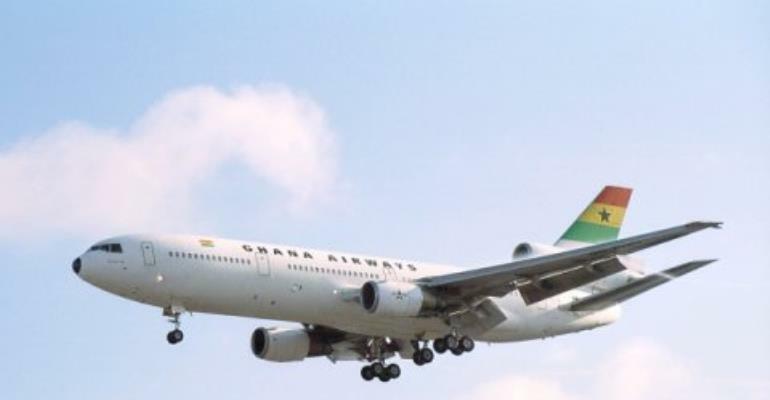 Therefore, by the lessor's estimation, the six month lease period expired on April 4, this year, and therefore, wrote to the Management of Ghana Airways to ground the DC 10 airline from flying. This disagreement on the date, affected Ghana Airways Accra-London bound flight GH 750 scheduled to depart Accra last Friday morning at 1030 hours which had to be delayed for three hours. The flight finally took off after intense negotiations with the lessor, which allowed the aircraft to fly. Observers believed, these problems begun with the announcement by Management of Ghana Airways to replace its DC 10 aircraft with Boeing 767 for its long haul operations. According to sources at the airline's head office, Ghana Airways decided to reduce the six-month lease period to three months until the end of April this year which did not go down well with BCI. All these setbacks have become worrisome to management and staff of Ghana Airways, especially when barely three weeks after the National Carrier has been promised a new lease of life with the choice of a strategic investor, its numerous grappling problems seemed not to go away. A source at the airline has hinted that everything was being done to ensure the problem was resolved quickly in order not to jeopardise it's US bound operation, especially involving the numerous customers who would be flying to the US on Saturday.